The Bridge Over the River Kwai is a work of historical fiction. It takes place in a Japanese-run POW camp for British soldiers in WWI (in actual fact, the solidiers were French). 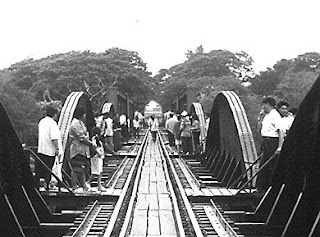 The book deals with the creation of a bridge for the "Death Railway" between Siam and Burma, to transport soldiers and military supplies. The book begins with the Japanese POW official Saito ordering British Lt. Colonel Nicholson and his officers to work on the bridge. There is no need for personnel supervision - all must go to work on the bridge to ensure time lines are met. Colonel Nicholson refuses and he is sent into solitary confinement. Saito and Nicholson are at a standstill and this continues to go on for weeks. However, the Japanese are not very familiar with engineering or management techniques and British are purposely sabotaging efforts to build the bridge correctly until their Colonel is set free. The Japanese mantra of 'saving face' comes into play - because Saito has announced that all must work, he cannot give in. When all efforts at compromise between Saito and Nicholson are exhausted, Saito finally gives in, to right efforts with the bridge construction and meet his ordered time lines. Nicholson and his officers take over and the bridge is properly planned for, the POW's efforts are managed and even the bridge location is moved to a more desirable spot. After more than a year's worth of building, the bridge is finally constructed. However, their is a small British task force that has been charged with blowing up the bridge. The optimal timing of such an event is after construction, when the first train arrives at the River Kwai. As the train arrives at the station, all necessary checks have been completed by the Japanese but Nicholson decides that due to the incompetence of the soldiers, he should complete one final check... and this check has some dire consequences. 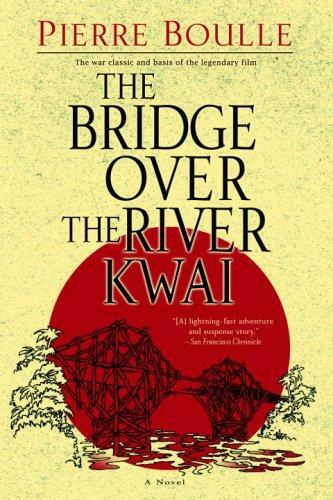 'The Bridge Over the River Kwai' was an enjoyable and quick read. 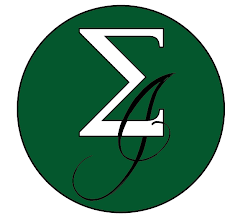 The characters were described as three-dimensional, and the reader faces an obvious conundrum - for whom do you cheer? Either a year's worth of POW deaths become pointless while the bridge is blown, or the bridge remains and the Japanese are able to transport supplies and soldiers for military efforts - ultimately leading to more deaths. This is the same conundrum that Nicholson faces at the end of the book. I didn't find the language very poetic, but the dialogue between the commanders as well as the task force operatives was interesting. The writing was very condescending to the East and oftentimes called out Western methods as 'genius' to the East's inferiority. Perhaps this is true in bridge construction, but the tendency at the time to think that Britain was beyond measure is a fallacy that many countries express... and it lead me to think about the same complex employed by the Romans and Greeks as they progressed as a society. I prefer Hemingway's account of war, as it contains a human element that was only touched on (though, unexplored) in Boulle's work, but overall this was an enjoyable read. This sounds interesting; thanks for the review. I've actually been to that Bridge. It's in a place called Katchenemburi in Thailand and it's quite the tourist trap. Great review, BTW.